Lost audio feedback when changing volume on your Mac? So did I after installing OSX Yosemite. 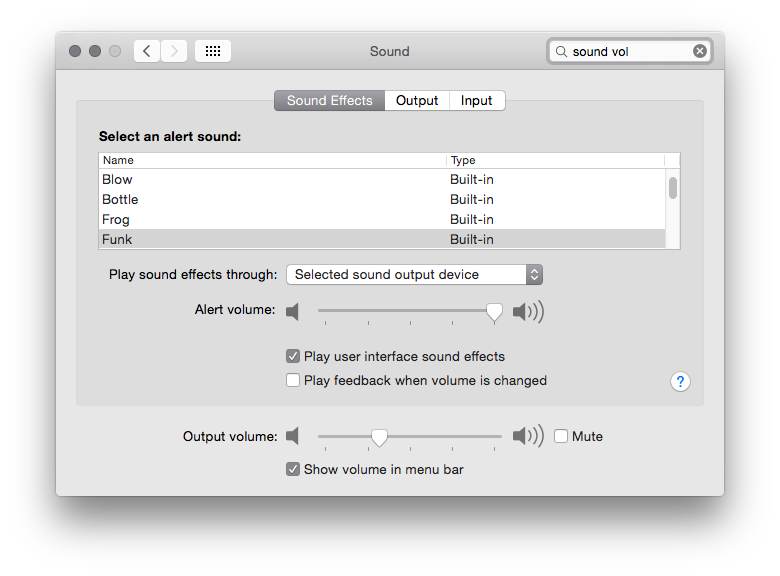 Turns out that OSX Yosemite changes the sound of feedback when changing volume levels on your Mac and defaults the change to not play the feedback. Simple fix if you still want feedback when changing audio levels. Open System Preferences (lots of ways to do this, including using Spotlight search).